Android Device Comes with the biggest Advantage of Supported Apps, There are Tons of Android apps are available on market which you can download and use in your device for free. So Today We will be talking about Best call recording apps for android, which you can install in your device right now which you can use for record voice calls from your Android Device. Previously We was shared a Guide on Whatsapp call recording app, must check it out. In Some Non Java Smartphones like Intex, Comes with call recording feature, But android devices don't comes with call recording feature in-built. you have to download some of the apps to record calls over your device. So For Provide you Great List for the Call recording apps for android you can simply read this post from below. You can't even imagine when there will be worst situation come you would be needed call recording for proofs. So you must already install a Good call recorder app in your device. Also have a look at best apps for rooted phone. There are many Good Call recording apps for android available, Which you can enjoy in your device. I have tried many Call recording apps for android devices, which I have mentioned below. Have a look at list of the best android apps for record calls now from below. 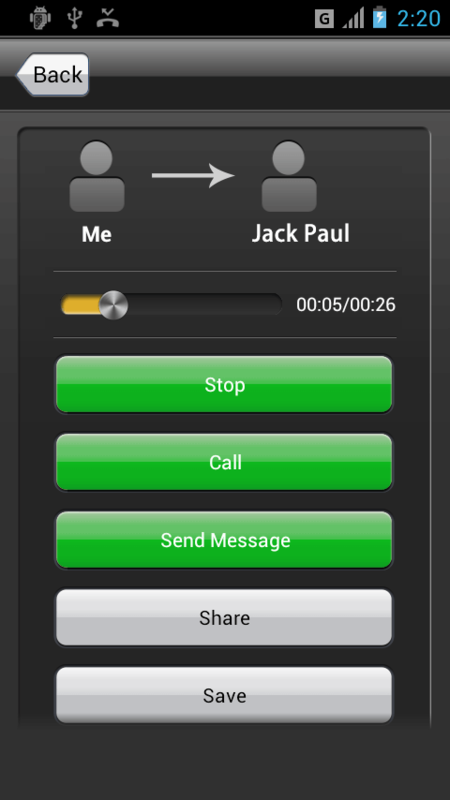 Automatic Call Recorder app let you record calls on your Phone on the go. 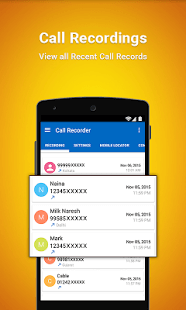 This is one of the best Call recording app which you can use on your Android phone. This app is powered by Callrecorder.cc which you can use on your Phone. This app is completely free to use. You can record unlimited number of calls on your phone with the help of this app. This app is one of the most popular app ever which you could use on your phone. This app can let you record your favourite call with different formats like 3GP, WAV, MP4, MPR. You can record only other people's voice of both side of voice with the help of this app. This app have dark mode theme, which is pretty good for those who prefer customisation. This app also let you record calls from your contacts only or prior contacts like this. So Let's Download this app now from below. This is the best app among all other apps, which I am also using in my Android device. You can do various things with this simple app. This app have feature of integration with Google Drive or Dropbox for save your recordings automatically to cloud (optional) (Integration will Work on Android 3.0+ Devices). you can set this app to save recordings only on specific numbers like, you can set this app to save up to 200 recordings at one time. so this app will delete old recording automatically and save new after you reach 200 recordings, it's an optional feature of this app. For Record unlimited recordings, you have to buy full version of this app. So Download and install this app now in your device for enjoy it. 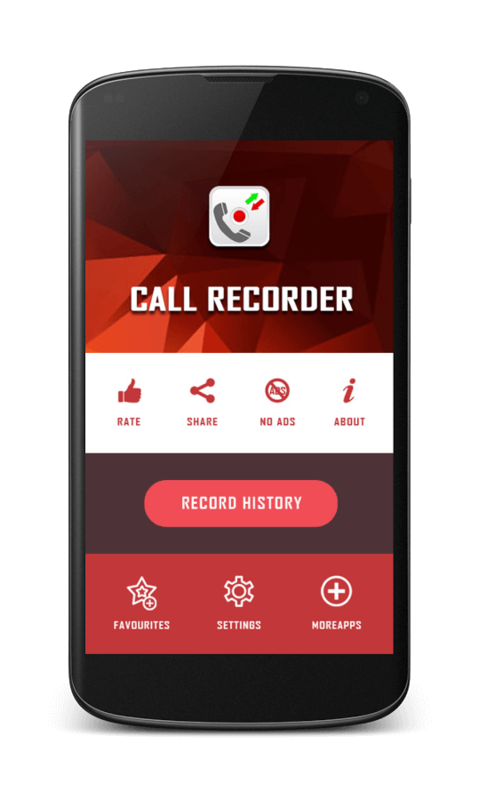 With this app you can enable / disable call recording in just one click. You can clear all of your recordings in one click, and also lock your some recordings for not to delete them automatically. There is one limitation in this app that it can't record voice calls if you are using hand free or bluetooth handset due to some driver issues. Except it this app is great and good to use for recording calls over your device. Download this app in your device right now from below and enjoy it!! This is one of the best app for record calls from android which is available on Google Play Store. This app have some unique features which you will not see in other apps. Like this app can Send Emails after record calls automatically. You can set this app to automatically delete old recordings. This app can be guided for exclude some numbers from being call recorded. You can also set this app to record calls automatically or manually for each and every call. you can save your recordings automatically via Dropbox, Google Drive, FTP, WEBDav and much more. Know more about this app now by downloading it from below. This is the free app for record Voice calls in Mp3 format in your device. You can sort your recordings by Date / Group / Name etc. It's completely free app for recording calls over your device right now. 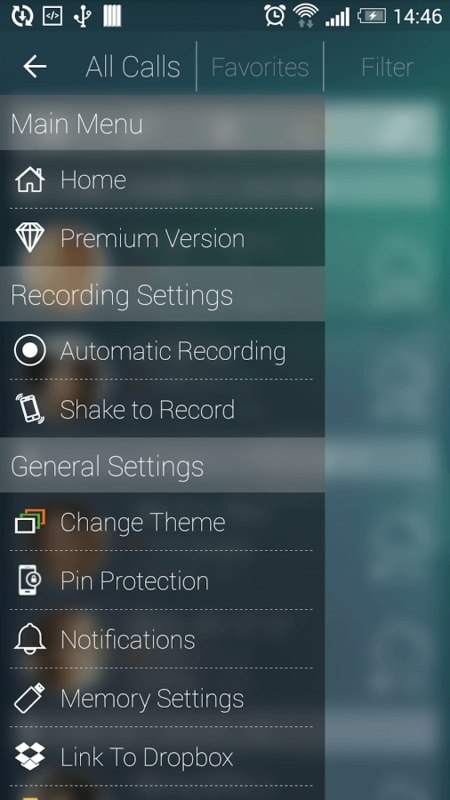 you can set custom themes in this app, manage call recording sound, delete recordings. This app also comes with inbuilt password protection for security purposes. Previously. we was shared Best IOS EMulator for pc check them out. As from Name presents, it can save all recordings from calls automatically. This app saves all recordings in 3GP Format. You can share recordings via this app from Email, whasapp, messenger, dropbox etc. This app also have ability to delete any recording from app itself or play records, so you don't need to open your music player for listen to recordings. You can record calls in best quality ever with the help of this simple app. You can save your recordings on Dropbox, which you want so your recordings will be safe even if you lost your device. Whenever this app starts recording, it will show you a notification. 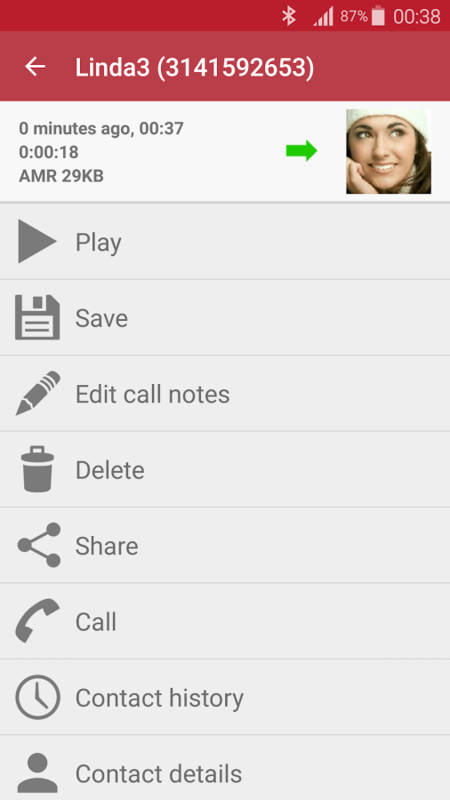 This app can sort recordings according to all calls, favorite contacts or you can set any other filter in this app. pro version of this app is also available for get additional advanced features in this app. There are many other cool and great features are provided in this app. So checkout this app now via download link and enjoy in your device. This app Can work in 10 Different languages in your device. You can record high quality calls with this simple app. You can also set password in this app for secure this. You can Set function in this app that for how much time you want to record calls with this app like you can set it to 10 minutes, then this app will record only first 10 minutes of any call or whatsoever, it depends on your requirement. You can save your recordings in 3GPP or MPEG4 format. You can also backup / restore all contacts from your device with this app. So download this app now from play store via download link from below, and start using it in your device. With this app you can Set Auto call recordings in your device. The big feature of this app is you can manage all of your recordings automatically in this app easily by sort it in groups or via Date / Name. This app has feature of share any recording in just one click on Apps like Whatsapp. 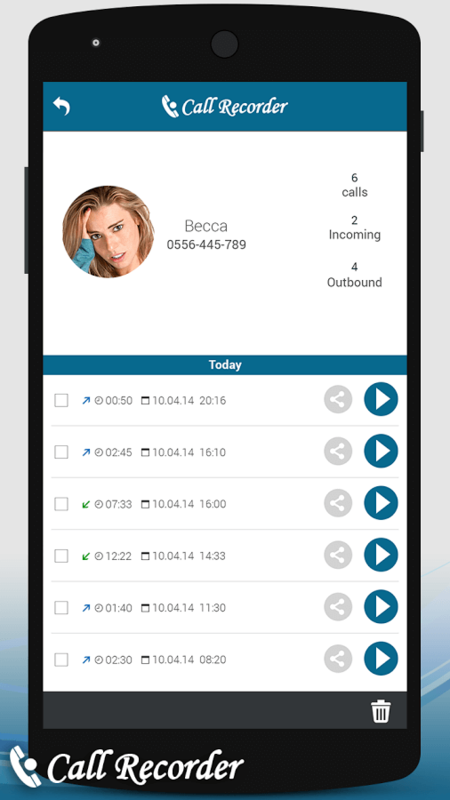 This app can sort recordings according to contacts, and can tell you how much recordings are available by particular contacts, by incoming or outgoing calls. There is one button in this app for turn on/off recordings easily. So checkout this app now from below. 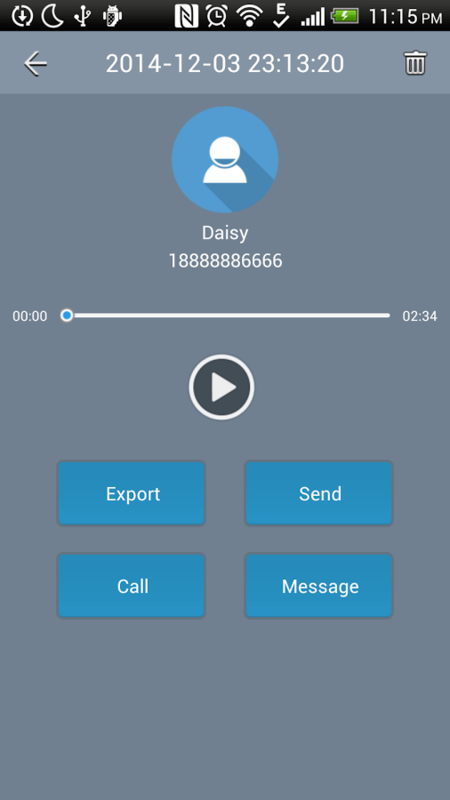 This is the Smart call recording app for android, which can record calls automatically from your device without pressing any record button every time. 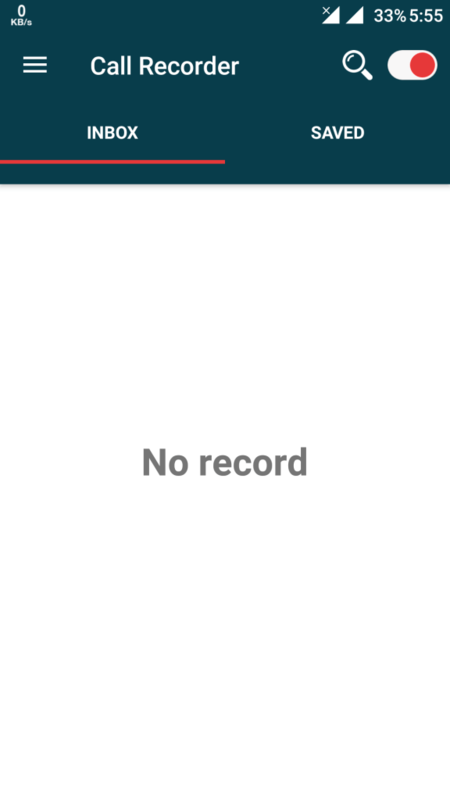 You can set this app to delete records automatically after certain time like months. You can save your recordings in Mp4 or 3Gpp format according to your requirements. 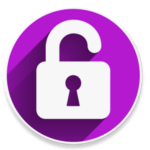 You can set pattern lock in this app, SYNC Recordings to cloud storage and there are much great features are included in this app. This app can record you call in realtime. 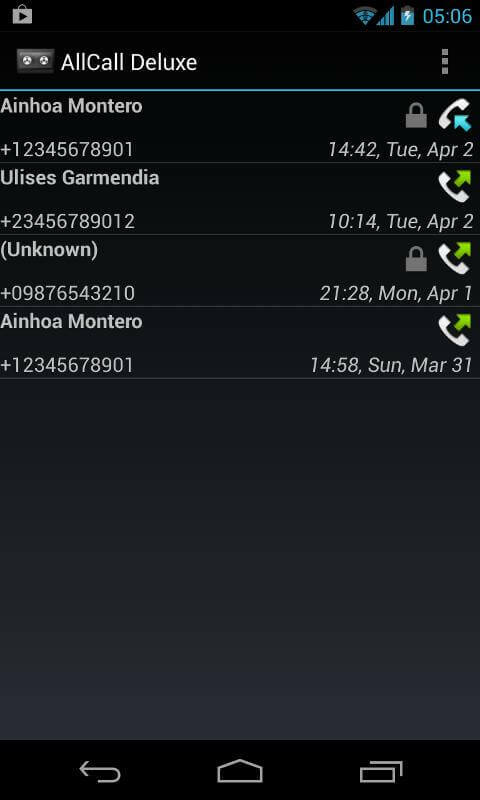 This app can record both incoming and outgoing calls in your Android device. This app is completely free to use, and it will work in Android 2.1+ Devices. You can easily export your calls on whatsapp, sd card or via other available sources in your device. This app use Device's Built-in playback, for record voice calls with mp3 format. Checkout this app now from below via Play Store. Yet another cool and great Call recording app for Android devices, which you can download and install in your device right now for free. If you are afraid of losing your recording if you lost your device? Don't worry, this app can automatically record calls and Send over your dropbox account which you have linked in this app (Requires internet connection). So you will not lose any recording ever from your device because it's already saved in cloud storage of dropbox. So download and install this cool app in your device now from below. This is the super call recording app for android devices. This app has ability for do various things while recording calls in Android. 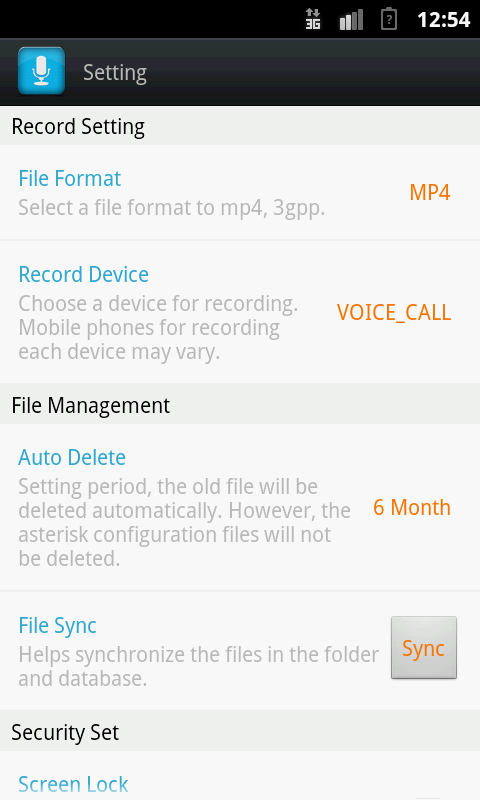 This is the automatic Call recording app for Android devices, which can work in Any Android device. 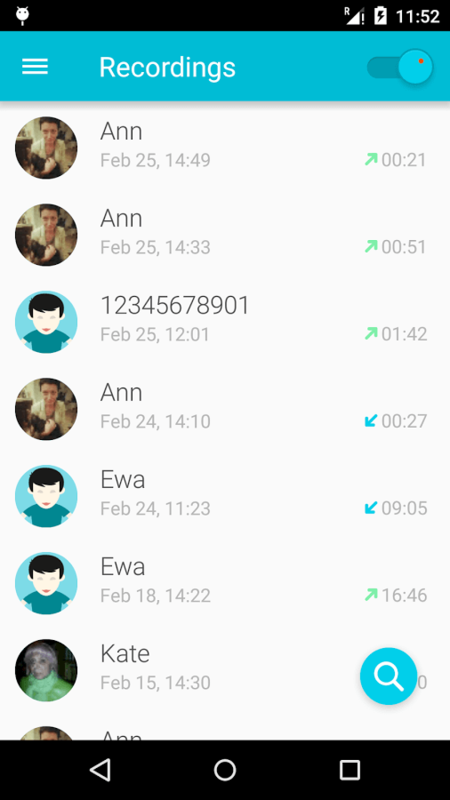 You can give commands to this app for record calls only from specific person, or not to record calls from specific person. You can analyze call recording on file manager on specific date, from specific number in folders for easy access of recordings. So Simply Download this app now from below, and enjoy it. So Guys, These was the some of the best Ever call recording apps for Android, Which you can try right now. 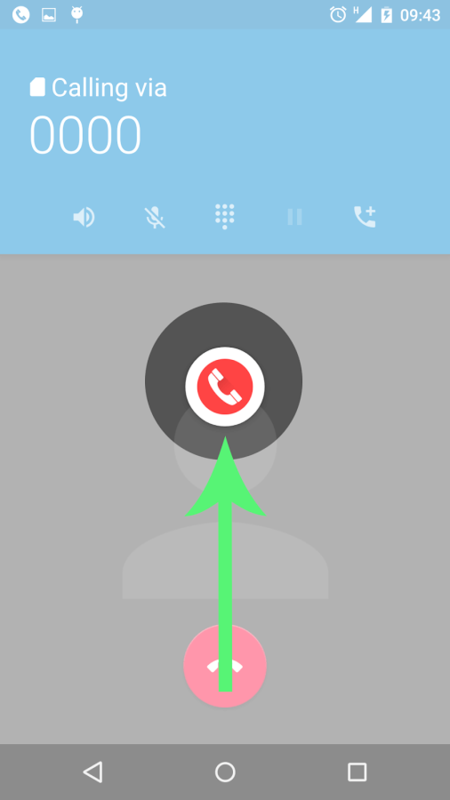 Now don't miss any recording in your call with these best android call recording apps. Easily download and use apps from above list one by one, until you get best call recording app for you. 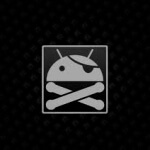 Also have a look at Best Apps for rooted android. Let me know via comments below, Which app you loved and your favourite app for recording calls. So I will update this post according to our user's requirements. Thanks for visiting and stay tuned for more cool stuffs like this 😀 . It would be great if the apps could be ranked in terms of sound quality. Most seem to default to recording off the mic, even when set to record the “phone line”, “communication”, or even the “other party”, and therefore you can only hear your own voice.